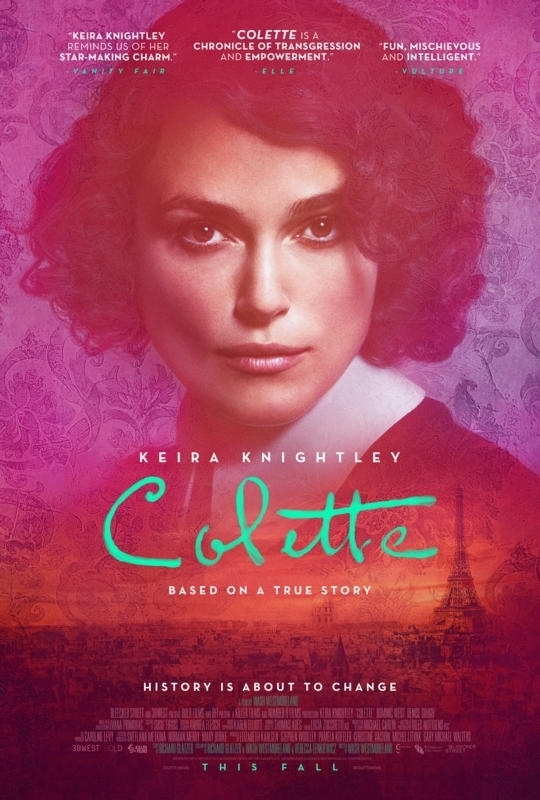 Here is the trailer from the upcoming film “COLETTE.” Directed by Wash Westmoreland, starring Keira Knightley, Dominic West, Denise Gough, Fiona Shaw, Robert Pugh, Eleanor Tomlinson. Here is the poster from the upcoming film “LAGGIES”. The film is directed by Lynn Shelton, starring Keira Knightley, Chloë Grace Moretz, Sam Rockwell, Mark Webber, Ellie Kemper, Jeff Garlin, Gretchen Mol, and Kaitlyn Dever. Having spent her twenties comfortably inert, 28 year old Megan (Keira Knightley) reaches a crisis when she finds herself squarely in adulthood with no career prospects, no particular motivation to pursue any and no one to relate to, including her high school boyfriend (Mark Webber). When he proposes, Megan panics and given an opportunity to escape – at least temporarily – she hides out in the home of her new friend, 16-year-old Annika (Chloë Grace Moretz) and Annika’s world-weary single dad (Sam Rockwell). 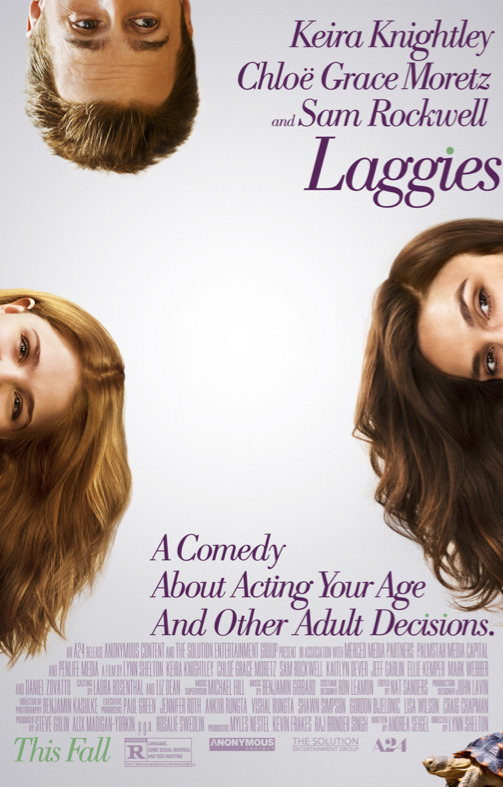 Here is the trailer from the upcoming film “LAGGIES”. The film is directed by Lynn Shelton, starring Keira Knightley, Chloë Grace Moretz, Sam Rockwell, Mark Webber, Ellie Kemper, Jeff Garlin, Gretchen Mol, and Kaitlyn Dever. Here is the trailer from the upcoming film “JACK RYAN: SHADOW RECRUIT”. The film is directed by Kenneth Branagh, starring Chris Pine, Keira Knightley, Kevin Costner, Peter Andersson, Kenneth Branagh, David Paymer, Colm Feore. JACK RYAN: SHADOW RECRUIT in theaters January 17, 2014. Here is a new featurette from Focus Features upcoming film, ANNA KARENINA . The movie is directed by Joe Wright, starring Keira Knightley, Jude Law, Aaron Taylor-Johnson, Kelly Macdonald, Matthew Macfadyen, Ruth Wilson, Domhnall Gleeson, Alicia Vikander, Olivia Williams, Emily Watson. ANNA KARENINA in theaters now. ANNA KARENINA will be in theaters everywhere November 9th, 2012. Here is the trailer from Focus Features upcoming film, ANNA KARENINA . The movie is directed by Joe Wright, starring Keira Knightley, Jude Law, Aaron Taylor-Johnson, Kelly Macdonald, Matthew Macfadyen, Ruth Wilson, Domhnall Gleeson, Alicia Vikander, Olivia Williams, Emily Watson.